Landscapes have long had a prominent role in fine art photography, but they also have a very important role in the commercial world as well. I am speaking of the concept landscape…the landscape as symbol and metaphor used to convey a concept or theme to help deliver a message whether it is advertising, promotional or editorial. The best of such photos work not just in the commercial world, but in the fine art world as well. They combine beauty and message and as such they pack a powerful punch. One good example of such an image would be an oasis. You have the stark beauty of the desert sands, the almost sensual forms of the dunes, and the symbolism of a harsh water-starved environment. It is almost ingrained into our DNA that a desert is the equivalent of adversity, challenge and risk. If you are a company or organization that provides a product or service that offers a solution for those situations of danger and difficulty, you can represented those products and services, and their benefits, by adding an oasis to that otherwise unforgiving environment. 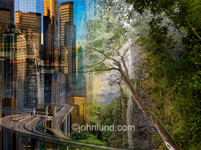 You then have a conceptual landscape, a seemingly natural scene that at once presents the challenge and then shows the solution, to the common problems that confront us all. Another important landscape subject area for use as concept stock photography revolves around roads and highways. 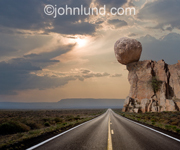 Long a favorite subject for fine art landscape photographers, roads also are powerful symbols for use in the business arena. 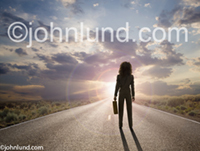 Roads lead to the future, they are the way forward, and they speak of freedom, adventure and progress. 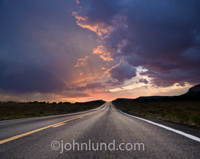 Whether they are long and straight, winding and crooked, stretching under dark and stormy clouds, or reflecting the golden light of a sunset, roads combine beauty and concept as few other subjects can. Burning lines of fire down a road describe performance and speed. A sunrise shows new beginnings, a fresh start, hope and promise. 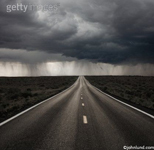 A road that stretches out beneath a storm, talks of troubled times ahead, but also of the promise of success. 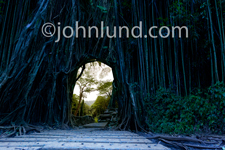 Landscape photography offers a wealth of metaphor for businesses and organizations. Dark forests hide danger and mystery, nature at her darkest and least understood. A great example of a landscape image that works well in the stock world consists of a young child, wearing a scarlet cape, and marching down a path leading into the trees. We all know that somewhere in those dark woods lurks the big bad wolf, and the young girl must be alert and vigilant for the danger and trials that await her. A vast expanse of cracked and dry earth is symbolic of scarcity and specifically deals with issues related to water, the environment and ecology. Add a distant storm and you have the promise of relief. Add a lighthouse and you have the failure of infrastructure and leadership. Lakes and rivers speak of abundance and prosperity. Placid waters show tranquility and opportunity; rough and rapid waters show adversity and challenge. Put a primitive boat into a peaceful lake and you have an idyllic scene that can serve financial institutions well in their message of the success and prosperity (for both vacations and adventure travel) that can be had by following their investment advice. 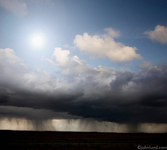 A black strip of land stretches out beneath the haze of rain and clouds, but above which the sun shines brightly, symbolizing the proverbial silver lining, the eternal good that we often lose sight of in our darker hours. It reminds us not only that there is always good to be had if we look hard enough, but also that the dark and the light will always come and go… and change is, indeed, the only constant. Man made landscapes can work well too. The simple, graphic tarmac of an airport runway, combined with an isolated gangway and empty blue skies, brings to mind both expectant opportunity and missed chances. Are we waiting for an aircraft, or has the plane left without us? Such an image can also serve to communicate issues related to networking, communication, and even the Internet. The headline will make that clear, and in any case we can enjoy the stark beauty of the image. 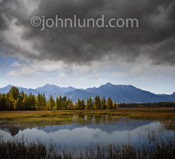 Landscape photography works for fine art, and it works for commercial art. We can harness the beauty of nature to enhance our lives with photography as wall décor in the form of fine art prints, and we can utilize the same images to more effectively communicate our messages in the advertising, promotional, and editorial realms.